Previously I’ve spoken about Video Classroom Observations and how fantastic they are to de-privatise our classrooms. Since that blog post, we’ve started a trial of video classroom observations at my school and so far, so good. In fact, I’m about to join the trial myself. And I’m a little worried about it. Even though I was the driving force behind getting this video observation thing up and running and I’ve been championing it since day one, I’m worried. I’m worried because my classroom practice doesn’t look like classes I’ve seen before. I believe it’s best for my students but that’s beside the point. Being different, and sharing that difference, is scary. Mostly I’m worried because I think “My Classroom: The Movie” just won’t be a very interesting watch. If my classroom was a movie, it definitely wouldn’t be directed by Michael Bay. There’s no huge explosions or giant robot fights. It wouldn’t star Will Ferrell or Jim Carrey either. It’s not particularly funny, although I do like to drop the odd dad joke in where I can. The problem is that a movie is designed for the benefit of the viewer, often at the expense of the actors. Jaws was a great movie, but you wouldn’t want to be one of the people on that boat. My classroom, I hope, is the opposite. It’s designed for the benefit of the actors and any audience member will be bored into a coma before too long. 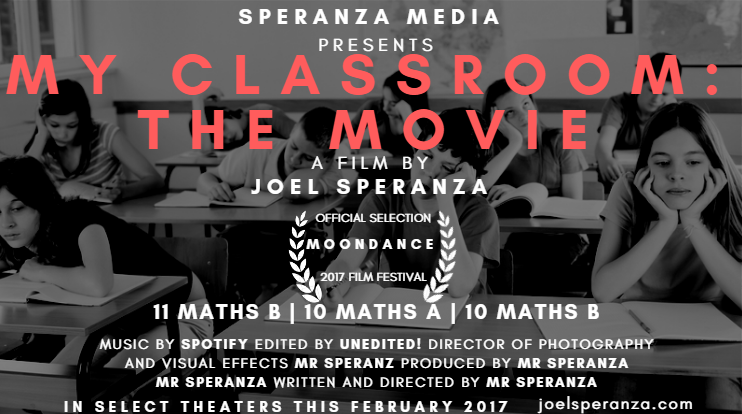 So, if you were unfortunate enough to watch My Classroom: The Movie, what would you see? Let’s talk about my students first. What are they doing? 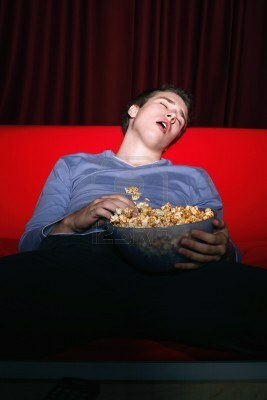 And if you do catch this flick, what will I be doing? Well, I wouldn’t get nominated for an Oscar. I’m not even really a main character. My students work way harder than I do. I look over shoulders, hopefully not saying much at all. I answer questions when students think they’ve exhausted all other avenues. I point out small changes students can make to make their work better. I teach “micro-lessons” to small groups of students when the need becomes apparent. I give students challenging questions when they’re doing it all too easy. I ask how their weekend job at the gelato place is going. My secret shame is that occasionally, my classroom is completely silent. Every student is working hard on something, they are all feeling some level of success and making forward progress in their learning. Nobody needs my help, I’ve done the laps and everyone is doing meaningful work. 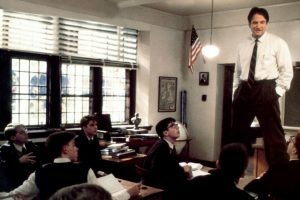 This kind of silent, heads down classroom isn’t going to win any movie critics heart! So while I welcome the opportunity to share my practice with others via video I do worry. 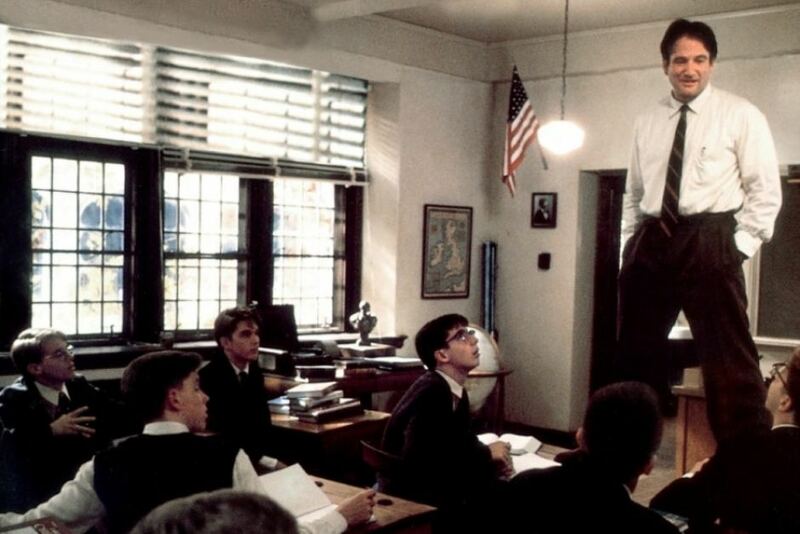 Because My Classroom: The Movie is nothing like Dead Poet’s Society. Your classroom the movie sounds like a classroom I could get excited about. Thanks for sharing Joel.